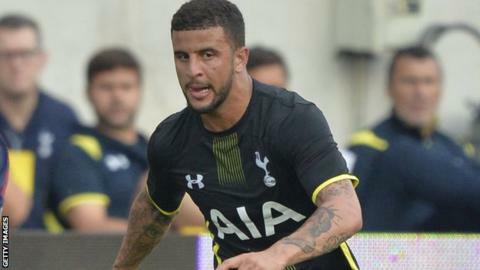 Tottenham defender Kyle Walker, who has not played since March, has undergone surgery on his lower abdomen. The England international right-back, 24, missed this summer's World Cup in Brazil because of the injury. Spurs had initially hoped to avoid surgery, but sent him for an operation in a bid to fix the problem and have set no timescale on his recovery. "Kyle is good some days. On other days he has a bad feeling," Tottenham manager Mauricio Pochettino said. "We believe he may recover soon but we need to be calm with him because it is an injury that he has had for five months." Walker's last competitive appearance was their 3-1 Europa League defeat by Benfica on 13 March, although he played on their pre-season tour of the United States.